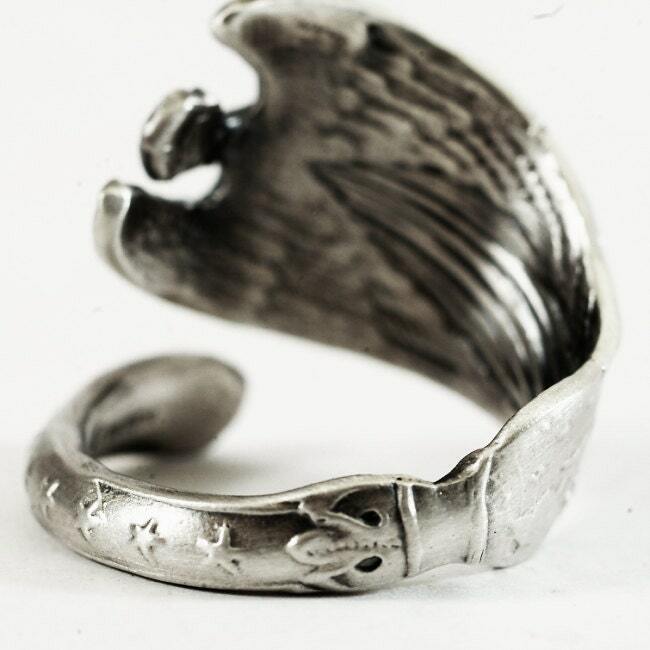 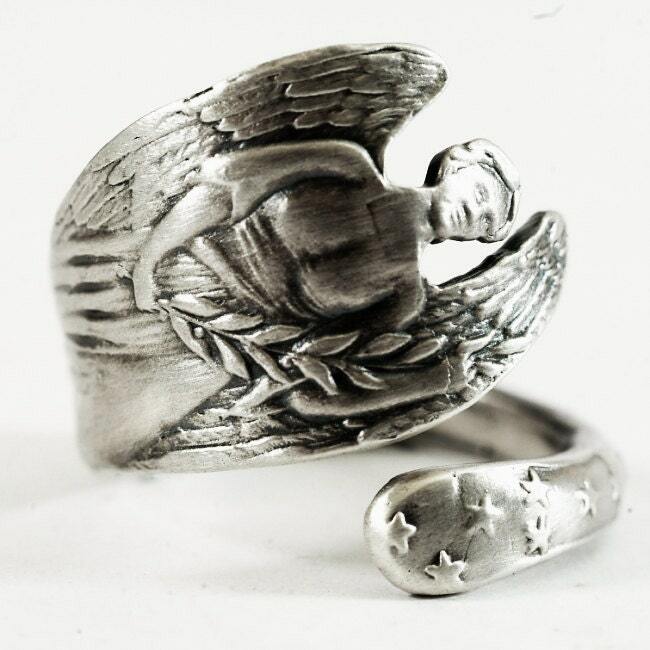 Art Nouveau style Angel Sterling spoon ring. 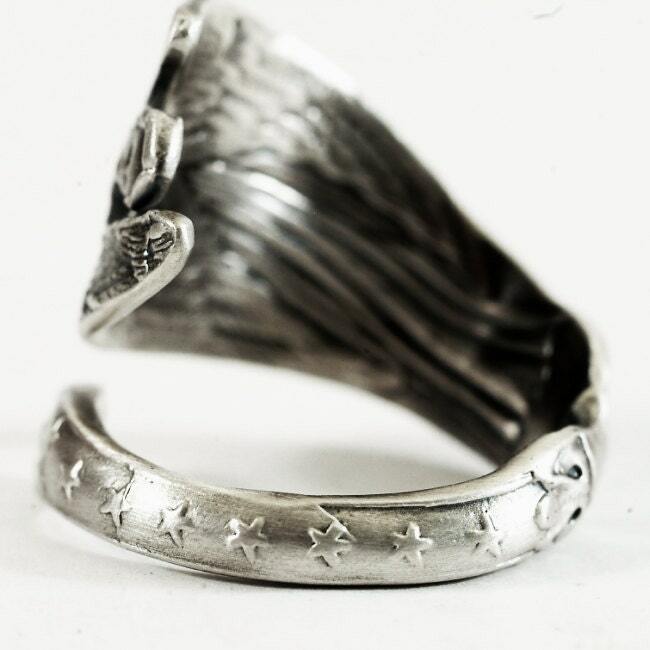 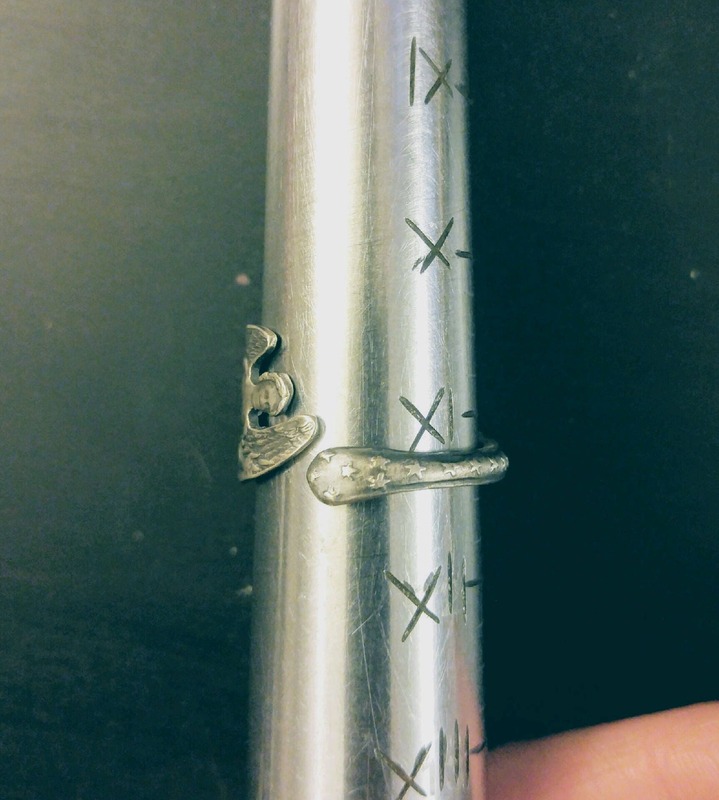 This ring simply depicts an angel holding an olive tree branch while standing (hopefully delicately) on the world perched upon a pole that is decorated with stars! 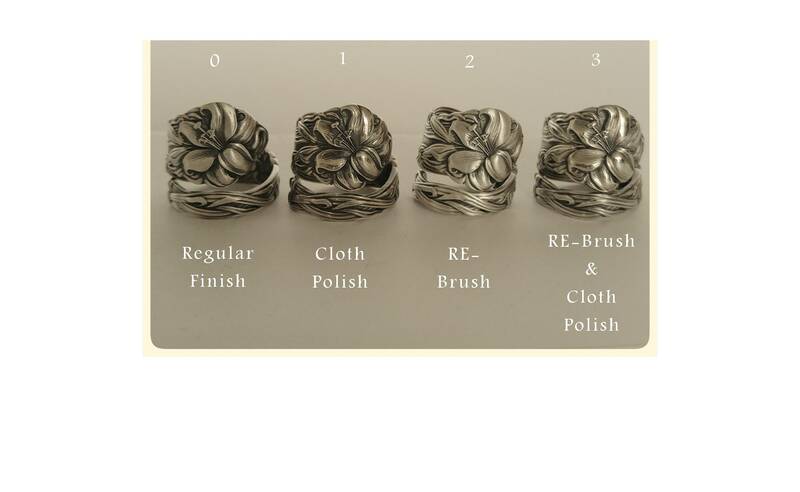 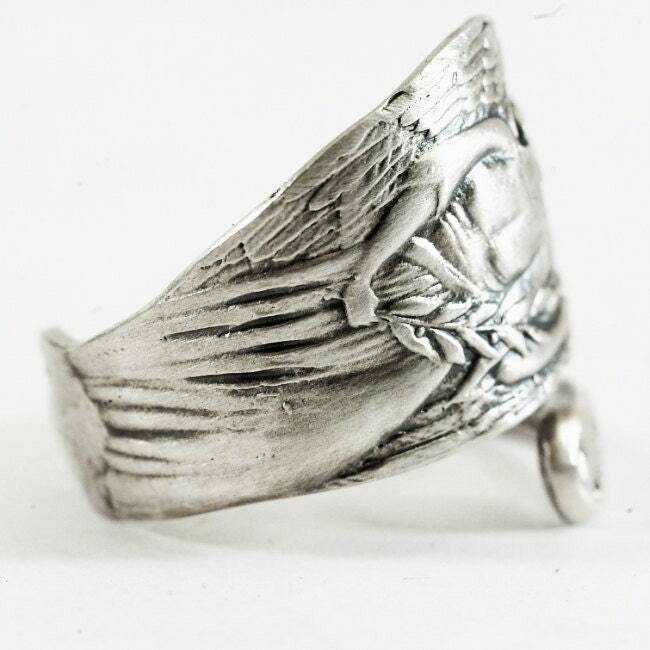 Detail of the angel's wings can be found on the inside of the ring! 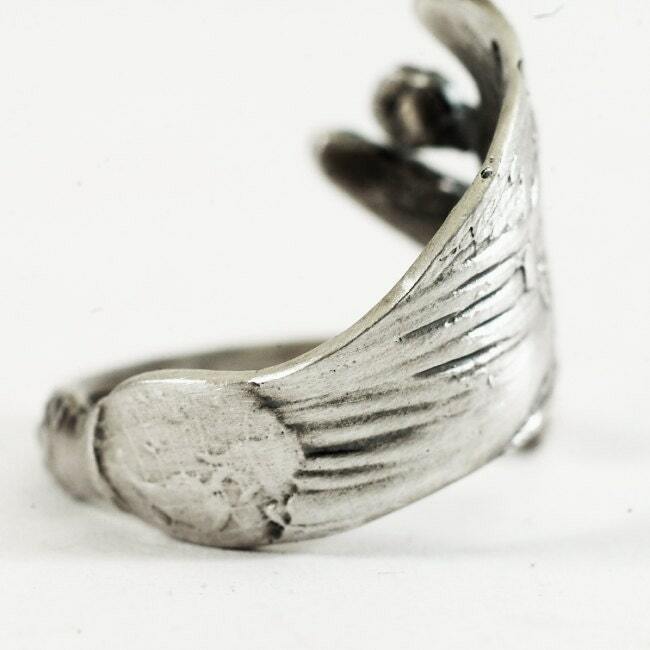 This is truly a lovely piece!